Vape Shop always has big named e-liquid brands such as, Twelve Monkeys Origins, BIG ML Club, Mr Wicks, The Milkman, Dr Frost, I love VG and many more. We ensure to have the best and competitive possible prices to suite you. We are always on the look out for new trendy e-liquid brands. We stock high VG and high PG liquids too and ranges of nicotine strengths. We have UK and USA made E-liquids also we have a new range of hemp CBD e-liquids from VINE CBD. Vape Shop stores varieties of flavours from fruity, dessert and tobacco e-liquids from around the world brands. 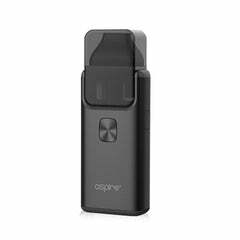 Vape Shop stocks up on the biggest vaping companies around the world from the well known SMOK, the reliable Aspire to the quirky designs of Vaptio and many more. 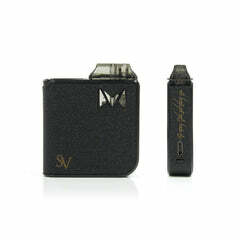 We have all the ranges of vape kits, vape tanks and vape box mods. Our vaping kits consist of beginner pen styled, advanced kits which are Sub-ohm based and lastly new designed pod and compact vapes. We have different types of mods, the simple box mod that take 18650 batteries, then unregulated more technical mods to compact and advanced squonk mods for rebuildable atomizers. Whatever you’re looking for we have it, varying from the accessories like vape cotton, vape wire, vape batteries and coils. We stock all ranges of coils from Sub-ohm tanks to AIO (all in one) devices also rebuildable wires. We aim to offer all ranges of tanks like mouth to lung, Sub-ohm tanks to rebuildables of RDAs and RTA’s so every vaper outhere is satisfied. Welcome to Vape Shop, your one stop online vaping store, where we aim to provide our customers with the best e-liquid, vape kits, replacement coils and much more. We are one of the biggest online retailers for E-liquids and hardware.Whether you're new to vaping or an experienced vaper, our mission is to provide you with the best quality e-liquids and vape hardware at the best possible prices. With same day dispatch up to 18:00 and free delivery on orders over £10, we ensure a smooth and satisfying customer experience.